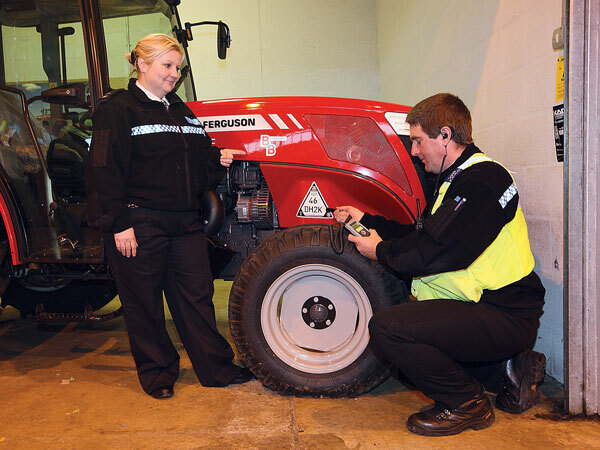 Derbyshire Constabulary, in an innovative initiative, are promoting the CESAR scheme which acts as a powerful deterrent against equipment theft and an invaluable aid in recovery. The initiative, organised by PC Sarah Sims, saw Derbyshire officers and staff from Datatag, the company behind the CESAR scheme, promoting 'good practice' at the busy Bakewell livestock market, Monday January 9th. This exercise will be repeated on the next 3 market days, Monday January 16th, 23rd, and 30th.